Description: In this book Ernst K�semann � celebrated initiator of the twentieth-century �New Quest of the Historical Jesus� � examines the problem of the relation between discipleship and faith. / K�semann first tackles specific passages in the Synoptic Gospels dealing with the summons to discipleship. He makes clear the relevance of the biblical message to human existence even today. In the second half he explores how themes relating to specific contemporary problems fulfill that message. / Here is a theologian who is radically and passionately committed to discipleship of the crucified Jesus of Nazareth � and who is not afraid to share that commitment. 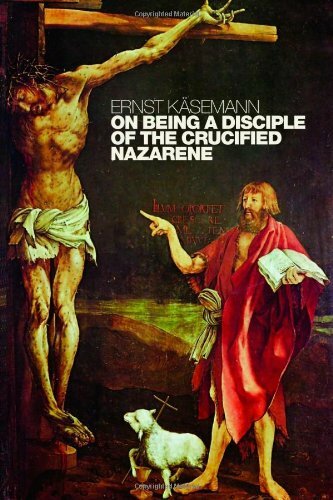 Citation: Wayne Coppins, review of Ernst K�semann, On Being a Disciple of the Crucified Nazarene: Unpublished Lectures and Sermons, Review of Biblical Literature [http://www.bookreviews.org] (2011).